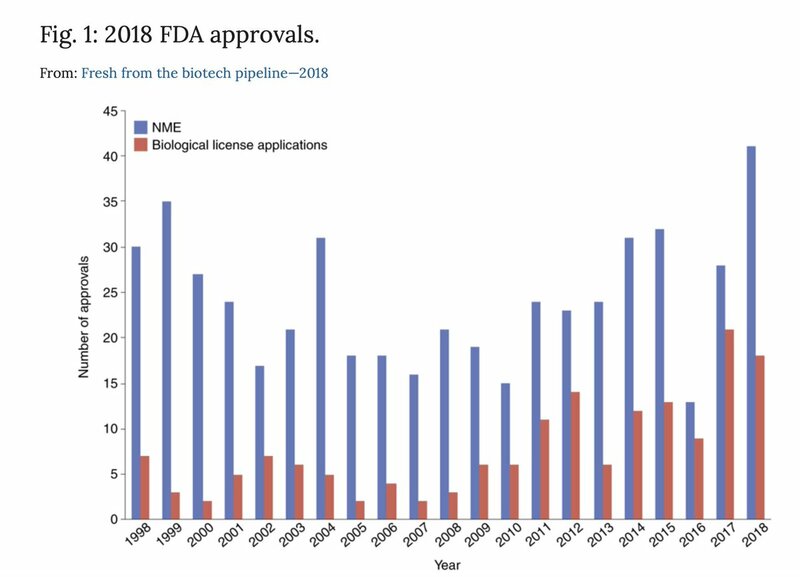 2018: The @US_FDA record number of new molecule drug approvals (41), the record number of new device approvals (106), the best communicator ever (to public, @Twitter). Progressive stance for #digitalhealth and #AI tech. What a loss. Negotiated Crisis. HHS is considering issuing a rule that would require hospitals and insurers to publicly disclose their secret negotiated rates. While this will certainly garner legal challenges from both the hospital and insurance industries, it would doubtless be a good thing for everyone else who is concerned about the ceaseless upward spiral of the cost of care. Revealing actual negotiated prices - as opposed to meaningless charge masters - would essentially mean transparent pricing in healthcare services and a giant victory for people who like to know how much they’re paying for stuff they’re buying. What it wouldn’t do is recast the industrial incentives of both hospitals and insurers where increasing prices are a win on both sides of the negotiating table. (For more on that, I’ve written about the healthcare price death spiral). The Trump Administration is considering this action as a means of giving patients better information when they shop for the lowest priced care. But, as anyone who works in healthcare, or anyone who has used our healthcare system knows, even with perfect price information it’s still challenging to predict the bill you’ll receive, and the portion of that bill you’d actually have to pay after insurance pays their part. Price transparency is a big part of what’s needed to contain healthcare costs. The other key component: aligning incentives so when patients are healthier, payers make more money. Crossover Episode. Sherpaa, Jay Parkinson’s virtual primary care startup, has been acquired by Crossover Health, a firm that operates health clinics for employers. I’m a big fan of Sherpaa’s virtual primary care model. While many companies focus either on applying tech to care delivery or on reforming the business model of primary care, Sherpaa is solving one problem with another. They’ve used tech - specifically their semi-synchronous communication platform - to deliver primary care while completely throwing away the notion of the visit. While most startups pitch themselves as doing something completely different and better, Sherpaa seems to have actually followed through. I’m excited to see where this new combined entity goes. The Oscar Goes To… Business Insider is reporting that Oscar Health topped $1 billion in revenue in 2018. That’s great, but more importantly, they’ve improved their margins.“The company said it has managed to get medical costs under control, spending about 80.5% of the premium revenue it takes in from its members on medical care, down from about 95% the year before.” Growth is good, but if you’re a startup looking to get off the venture treadmill the safest bet is to build a business that can fund its own operations. This is a huge positive trend for Oscar. Telastock. Teladoc reported their full-year 2018 financials and things are looking up for the leading telehealth company. Total number of visits, their key metric, has grown 80% year over year. One of Teladoc’s bigger problems has been that while they can sell memberships to employers, they were struggling to get covered employees to actually use the service. Goosing engagement may be a worry of the past for them. But there is something troublesome for Teladoc’s long term prospects hidden in plain sight. Their key metric - number of visits - is a perpetuation of what’s wrong with the fee for service model. They are using technology as a way to make care better, but it’s in the same old, tired model that promotes utilization rather than actual improvements to care delivery. As soon as you shift to value based care, number of visits becomes a metric of failure rather than success. Jay Parkinson has a better idea here. Demanding Doctor. Continuing the conversation on what is good and what is bad in the world of telehealth, Doctor on Demand announced their new“virtual primary care” platform. It’ll aggregate all your data, play nicely with other providers in terms of information transfer, and allow you to see a doctor whenever you might need from the comfort of your own home. But, like Teladoc, they’re still centered around the notion of the visit. You can bolt on all the technology you like, but if you’re still utilizing a busted business model you can only get so far. Watch your BP. Samsung’s new smart watch purportedly has the ability to take blood pressure readings. It’ll be a beta testing feature and very limited in scope, but this is still a big leap forward in adding diagnostic testing to mainstream devices. You know, if it works. Andrew Dunn wrote for Healthcare Dive about the questionable ethics at play when the VC arms of hospital systems invest in medical technology firms. There is little doubt that when these VCs are courting companies to take their investments they are promising some sort of access to the hospital. But it is also not well-proven that conflicts, where clinical staff might feel pressured to use a portfolio company’s product, actually play out in a way that harms quality of care. The larger story, in my opinion, is the question of why non-profit providers have enough cash lying around to launch hundred million dollar venture funds. Perhaps their prices are higher than they ought or need to be? 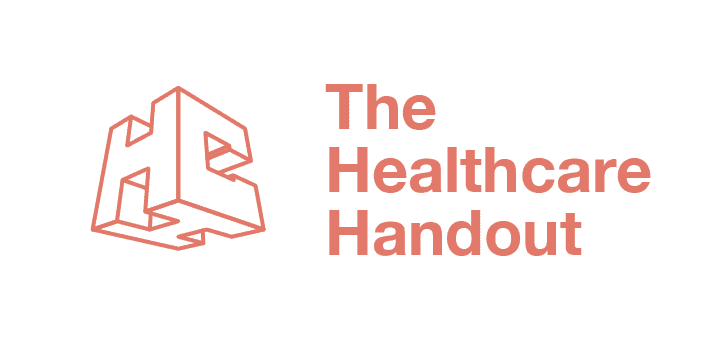 “E-ambulance is keyed onto X-Road, and allows paramedics to access patients’ medical records, meaning that the team that arrives for your chest pains will have access to your latest cardiology report and E.C.G.” This isn’t a startup pitch. This is from a 2017 story in The New Yorker where Nathan Heller explores Estonia’s digital-first government and the effect that it has on their daily lives. Reading this as an American, my mind goes first to the terrifying thought that all my information would be digital and accessible to the bad actors who want to steal it. And then I remember that my information has already been stolen a few times this year in increasingly run-of-the-mill data heists. You have to wonder if the myriad benefits of a system like Estonia’s would outweigh the risks. Frank Chen, a partner at Andreessen Horowitz, compiled a written version of his late 2018 talk "Humanity+ AI: Better Together”. It’s a good read for framing how we should be looking at AI and the effect it’s likely to have on our work, lives, and society. And remember, this machine runs on sharing. If you found this newsletter informative or thought-provoking, give it a boost by sharing with a friend or colleague. Or share a testimonial.